NOTE: working with propane can be dangerous. Take proper precautions or have an expert do the work. 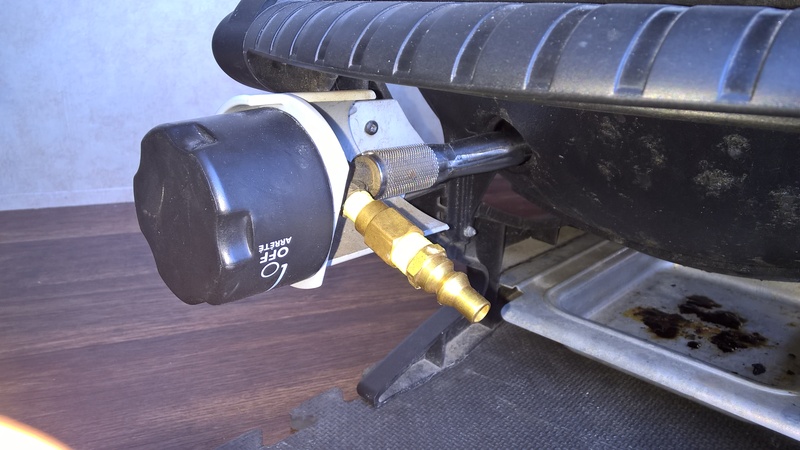 I recently did a mod to my Weber Q120 to connect it to the external propane port on my RV. This mod should also work for the Q100, 1000 and 1200. The key to making it work is removing the regulator off the Weber. 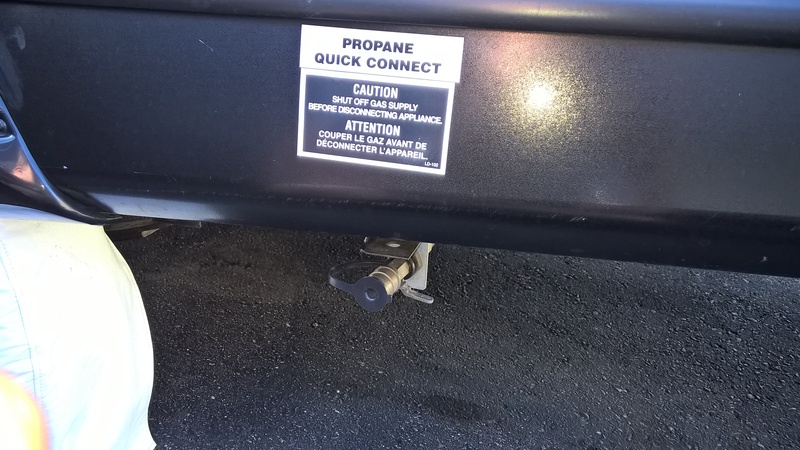 It is critical to do this as having two regulators, one at the trailer propane source and a second at the BBQ will make the gas pressure too low. The second piece to this project is to add quick release connections. This makes plugging in easy but also allows for interchangeability. For example you can have a quick release cable that plugs into the RV, as well as a quick release cable that plugs directly into a separate external 20lb tank as well as a quick release that allows you to reconnect your regulator if you ever want to use the green throwaway propane bottles again. Start by removing the regulator from the Weber using a very small wrench. Be sure to not bend or damage the burner tube while unscrewing. Preparing the Hose just consists of wrapping the threaded end of the hose with gas tape and screwing on the shutoff valve. 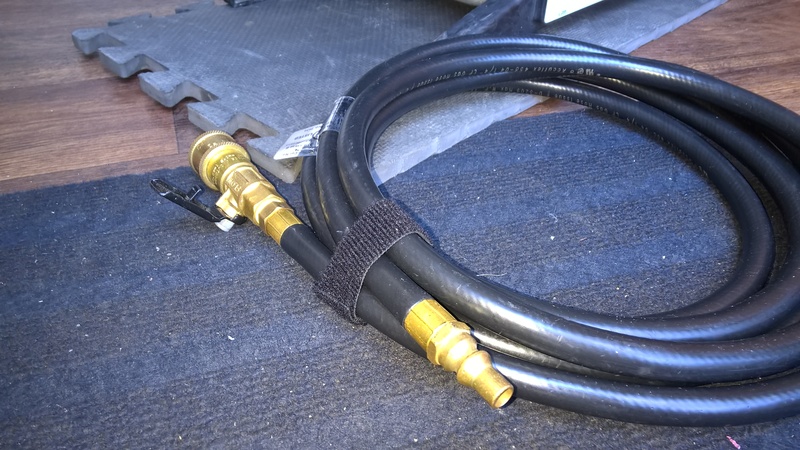 When complete, all you need to do is plug the shutoff valve end of the hose into the Weber, and the male quick release end of the hose into the RV and open both the shutoff on the hose and on the RV and you are running off the RV propane tanks. To create any other hoses for an external 20lb tank or for the throwaway tanks, all you need to do is get a hose of the correct length that has the right end for the type of tank you want to use, and a female quick release hook up the existing regulator in between. Now you can swap between RV, 20lb or Green throwaway.